Against the backdrop of growing civil rights turmoil in a sultry border town, the hard-drinking ex-POW attorney Hackberry Holland yields to the myriad urgings of his wife, his brother, and his so-called friends to make a bid for a congressional seat - and finds himself embroiled in the seamy world of Texas powerbrokers. Texas attorney and former Texas Ranger Billy Bob Holland has many secrets. Among them is Vernon Smother's son, Lucas, a now-teenaged boy about whom few know the truth - Lucas is really Billy Bob's illegitimate son. When Lucas is arrested for murder, Billy Bob must confront the past and serve as the boy's criminal attorney. Billy Bob knows the propensity of the town, Deaf Smith, Texas, to make scapegoats out of the innocent and to exploit and sexually use the powerless. Burke delivers withanother great mystery/hero! 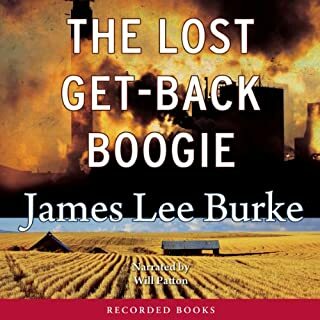 This James Lee Burke novel, featuring Son Holland - the great-grandfather of Burke's Billy Bob Holland - as he flees a Louisiana prison camp with a Native American woman and a fellow prisoner in tow, is now available in audio. So Good... and a bonus! Clete is here! Released from prison after two years for manslaughter, Iry heads to Montana for a fresh start on a ranch owned by a prison buddy's father. He also hopes to nail down a song he's been working on, unable to get quite right. But soon new troubles bring tragic consequences, and it will take a lot more than a soulful tune to ease the pain. Where is the unabridged version? 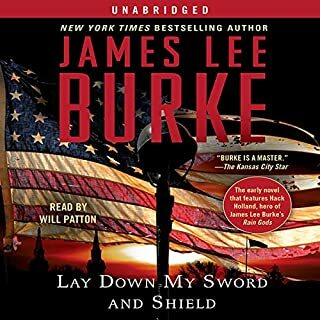 In a startling departure, James Lee Burke has written an epic story of love, hate and survival set against the tumultuous background of the Civil War and Reconstruction. 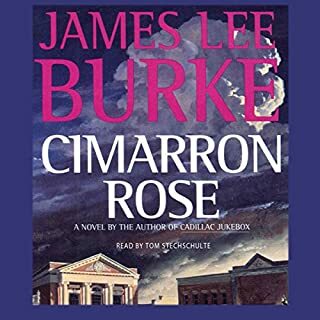 At the center of the tale are James lee Burke's own ancestors, Robert Perry, who comes from the slave-owning family of wealth and privilege, and Willy Burke, born of Irish immigrants, a poor boy who is as irreverent as he is brave and decent. Despite personal and political conflicts, both men join the Confederate Army, determined not to back down. In this novel, Burke brings his brilliant feel for time and place to a stunning story of Appalachia in the early 1960s. Here Perry Woodson Hatfield James, a young man torn between family honor and the lure of seedy watering holes, must somehow survive the tempestuous journey from boyhood to manhood and escape the dark and atavistic heritage of the Cumberland Mountains. In this intense, fascinating story, Burke follows the lives of three young Louisiana men, each of whom finds himself in desperate circumstances. There's Avery Broussard, the last survivor of a family of once-prosperous land owners, who has a weakness for alcohol; J.P. Winfield, a poor singer and guitar player who rises to fame as a country music star, only to be destroyed by drug addiction; and Toussaint Boudreaux, a black longshoreman who moonlights as a heavyweight boxer. It is an obsession that has haunted Nick Malick for seven years - to avenge the murder of his young son. In his gut Malick knows who did it. But the psychopath is in prison for another crime, scheduled to be released in a year. All Malick has to do is wait...and survive. Outstanding story with remarkable delivery. I find Burke to be one of the best novelists in the suspense genre. His characters are flawed, believable and wonderful to discover. This book is one of a series about a sheriff of a small town on the Texas/Mexico border with a dark past, Hackberry Holland, but it is not necessary to read any of them in order. Will Patton is a remarkable actor and the best reader I have encountered. He brings the characters to life and makes Burke's unique and eloquent prose a haven of pleasure. Most of the reviews I've read thus far, in spite of the disparity they contain, have valid points. I'll offer what I think is probably most helpful to someone considering this book: Burke is flat out a magnificent writer, his command of language, his artistic prose, his adeptness at continuity, and his strong characters. I don't know that anyone, besides Cormac McCarthy, can tell a such a raw story more beautifully, which is some feat when it comes to describing horrific gore and violence. But he does so in a disconnected slow motion way that makes it tolerable and crucial to the story. He does not seem to worry about abridgement--and why should he? People crave fast action, in-your-face stories, and Burke doesn't write for that market. He could be accused of filling the pages with, as one reviewer put it, "kitchen sink" characters and plots--so may be best enjoyed in small doses rather than devoured in a 16 hr. marathon. (*Possibly consider the abridged edition?) This is not fast food, but rather a dining experience. It is intense, rich, and can give you something like heartburn if you consume it all at one sitting; you need to walk away from this feast every now and then to avoid overload. The landscapes are so vividly described you all most choke on the dust, the characters, especially Hackberry (who ironically accuses himself of speaking too many "idle thoughts") is amazingly sculpted by Burke. This is not a book that will sit nicely in your head, but savored in bits is a great read. Will Patton is flawless in his narration, where in Rain Gods (previous novel about Preacher Collins) I thought his twang was heavy and distracting. If you know what your getting in for, I highly recommend. Another homerun by James Lee Burke. Story is amazing and you wont be able to stop listneing once you get started. Also, Will Patton is his usual smooth self narrating this book. Burke and Patton are a tough team to beat....there's no duo better than them. "Lay Down My Sword & Shield," the book that introduced me to Hackberry Holland, was disappointing to this fan of the Dave Robicheaux series. "Feast Day of Fools" redeems both the author and the character. In "Feast Day," Holland is some 40 years older, and much the wiser. He's a man of principle, which he wasn't in the last book. As repellant as he was, he becomes a sympathetic and admirable character. The book moves at a good clip, and engages the listener immediately. I found myself rewinding to make sure I hadn't missed, or misunderstood, anything. The book tells a story that involves a vicious and demented serial killer, agents of a Mexican drug cartel, agents of the U.S. government, and a charismatic ex-CIA operative turned faith healer. The ending is surprising, and very satisfying. Will Patton does a good job of narrating, although at times his accents got a bit jumbled. It didn't really detract from the book, but it's why I didn't give him 5 stars. Do yourself a favor and spend a credit on this one. You won't regret it. I love James Lee Burke: his ability to create a sense of place is superb and I so enjoy his characters. In his latest book about Hackberry Holland, I could feel the heat, smell the smoke and see the sky. I`m not sure who I like the most, Dave Robicheaux or Hackberry Holland but I do know that I am never disappointed when I read a book about either one of them. The performance by Will Patton is wonderful - I can still hear his warm, sure, and wise voice in my head. Highly recommended. The one major complaint about James Lee Burke's novels is that they end. The writer continues his quest to personify evil. Across his pages come men (I can't remember any women) of iniquitous character and malevolent nature who take the listener's breath away as Will Patton transports them to your elbow. The Feast Day of Fools (great title) has it all: Sheriff Holland and his deputy Pam Tibbs, who have an unusual personal and professional relationship, fight against eclectic array of evil doers including the resurrected serial killer Preacher Jack Collins, a degenerate Russian arms dealer (perhaps the most evil of the lot), strange men named Krill and Negrito, another preacher, Rev. Cody Daniels and a multitude of other criminals. If that were not enough to keep the reader or listener glued to the pages or enthralled by Will Patton's marvelous acting, we encounter an Asian women, Anton Ling, with a murky past whose home is the conduit for starving Mexican workers and their families and finally Danny Boy Lorca, an alcoholic ex-boxer who arrives on the Sheriff's doorstep begging to be locked up. Only the violence mars Mr. Burke's unique gifts. 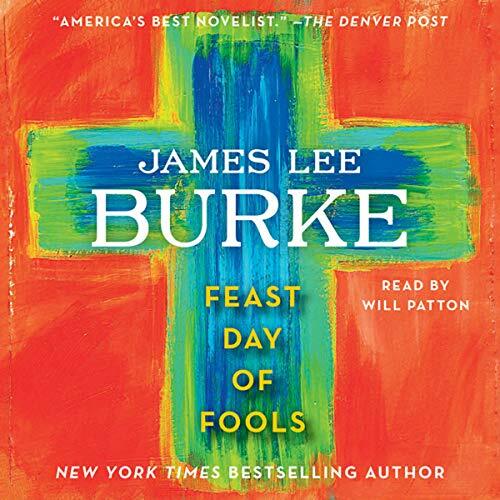 Would you consider the audio edition of Feast Day of Fools to be better than the print version? I don't know how to answer this question, as I never read the print version. I do want to expand on my view of Mr. Burke and his development over the past twenty-five or thirty years of writing. His gifts are remarkable. I never in my life wanted to visit Iberia Parish, Louisiana until Mr. Burke made me smell the bougainvillea. His ability to make you see, smell and taste the environment of his settings is unparalleled among contemporary authors. When Dave Robicheaux began spending his summers in the Bitteroot Mountains of Montana I was delighted to be able to live in that location for the length of those books. I found Dave R. and his sidekick Clete Purcell distinctly complex men, riddled with post-traumatic stresses from Viet Nam, by the ravages of alcoholism, and by their revulsion at how criminals had ruined the lives of the underclasses in Louisiana, and all over the South. Mr. Burke created amazing Southern Gothic characters, drawn from an imagination which apparently had no bottom whatsoever. I laughed and I cried, truly. I felt Dave's shame, his love for his two wives and for his adopted daughter Alafair, who is now in real life an author living in NYC and writing crime novels herself. Dave and Clete tried hard to bootstrap themselves above their personal tragedies, generally with minor triumphs but with the ferocious dark side always lurking in the end, waiting for another stab at Dave's heart. I seem to have written a fairly long paragraph without even mentioning Hackberry Holland. Backstory, I guess. I was glad to see that Mr. Burke had branched out in such a serious way, particularly after writing twenty Dave Robicheaux novels. What a fountain he is! Hack is a very different guy from Dave, and the structure of this book is quite different. Minus Clete, plus Pam Tibbs. Minus Louisiana, plus the Texas-Mexico border. Unfortunately for us, I think, plus plus plus the relentless violence, as my fellow readers have pointed out. This issue has now gone way overboard and has now reached the baroque. When a particularly bizarre character gets nailed to a cross, then shot through the heart, and then set on fire in his own church by another over-the-top bizarre character: this is just about too too much for me. I understand that Mr. Burke has been exorcising personal demons through thirty years of writing, but, uh, maybe he might try some psychotherapy. Really. There must be a point at which there is just too much of this stuff. I would fully enjoy his books if at least half of the brutal violence were edited out, and maybe more than that. Mr. Burke's writing is still mesmerizing. He has not lost any of his talents. He should lose some of the senseless violence. I, as ad hoc president of his fan club, hereby say, Enough! Luckily for Mr. Burke, Will Patton is there to pull his feet out of the fire. Literally. Mr. Patton has elevated these books beyond the fantastic to the simply exquisite (I am searching for adjectives here). I love Will Patton. He can do no wrong. I wish HE would tell Mr. Burke that there's too much violence. You can't possibly do that. It would make you retch. You need some time for your stomach to settle down. 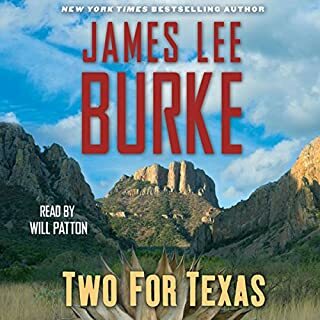 I really enjoy James Lee Burke, he has become one of my faborite authors. And, Will Patton is a great narrator. Burke has good insight into human nature and comes up with some colorful characters. He brings history into his stories and weaves a great tale. Most of his books have been about Detective Dave Robicheaux and they are great set both in Louisiana and Montane. Now, with Sheriff Hackberry Holland he writes about SW Texas along the border where the good buys and bad guys are going both ways across the border. No fair! 2 days before credits, and you release the new JLB. King of the simile, a writer so good you can smell the bait on the dock and feel the heat of the sand through the soles of your shoes. Mr. Burke is a true master, and Mr. Patton is perfect every time. I resisted the impulse to buy it (without credits) for about 3 seconds. In short, you had me at James Lee Burke. 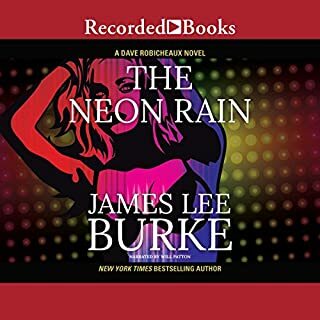 With enough implausible, over-the-top villains to fill several novels Mr. Burke has gone too far, too often for this reader and that's just the start of my criticism of this ponderous tome. As I was unable to find the kitchen sink, I must not claim that there are too many fantastical plots and sub-plots in this one, but if boiled down the story could have been done quite well in one hundred pages, a la Cormac McCarthy. Burke's insistence on flooding us with (brown) sugary poetic interludes at every turn is making his novels seem as wondrously unreal and out of control as an experience with powerful LSD. Life is simply not like that for most of us, that is, rich, opulent gilded images do not occur with the regularity of heart beats as we pass through life. And dark, oh so dark. These folks are bad people and extremely unfortunate people and extremely disturbed people or angry, or horny or you name it; they are extremely it. And that gets more than a little tedious and one needs to come up for air occasionally. And the plot get subjugated by all this munificent beauty and darkness. The plot, oh yes, that. Far fetched and redolent of even more contemporary terror, it hangs in the background like a Edvard Munch nightmare, overwhelmed by the incessant images of degradation and premature burial and other unmitigated evil. It is all just too much. 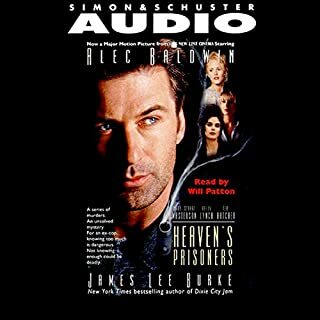 Will Patton must have been suicidal after the experience, but his performance was by far the most constrained and professional element of this audible book. Burke is a great writer but he may have gone to the well dozens of times too often with this one. It is not often that I have such a protracted nauseating visceral revulsion when reading an espionage thriller. My God man, throw in something approximating normal occasionally so we can get a sense of where and who we are.